Tickets can be expensive. It’s not just the initial fine, either. Tickets can impact car insurance rates, which means that you’ll keep paying for that one mistake. If you’ve gotten a ticket, you’re probably wondering how much it will raise your rates — and whether there’s anything you can do about it. When Do Rates Go Up? If you’ve gotten a ticket, your rates probably won’t change immediately. Don’t let this lull you into thinking you’re off the hook, though. When it comes time to renew your auto insurance, you might get hit with an increase. Whether or not this happens depends on a few things. Was the ticket written by an actual human being, or did it come from an automated system? In many states, tickets from red light cameras don’t result in points on your record and don’t impact your insurance rates. Was it your first and only ticket in years? Your insurance company might overlook a ticket if it’s the only one. Was it a minor offense? The more dangerous the offense is, the more serious the consequences will be. Did the insurer check your record? Sometimes, this doesn’t happen. How Much Will Your Rates Go Up? Car insurance rates depend on a number of different factors, so we have to look at averages, not absolutes. 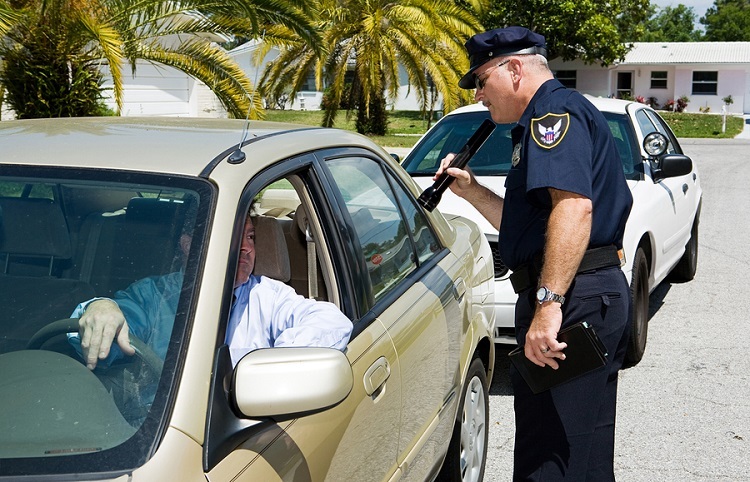 If your car insurance rates go up after a ticket, the amount of the increase will depend on the severity of the violation and the company’s policies. Other factors, like where you live, may also play a role. According to HighYa, a single minor violation might result in premium increase of 28 percent, while two minor violations could bring you to a 43 percent increase. A single major violation, such as reckless driving, could result in an increase of 76 percent. If you’re paying $1,500 a year, this means a minor violation like a speeding ticket could cause your rates to go up by $420, while a major violation could cost you an extra $1,140 a year. How Can You Keep Rates Down? The best way to avoid rate increases is to avoid tickets in the first place. Don’t speed. Assuming road conditions are good, try to maintain the speed limit. Don’t run red lights. Always come to a complete stop for stop signs. Don’t drive distracted. Using a handheld device while driving is now illegal in many states, and being distracted may make you more likely to make other driving mistakes. Avoid aggressive behaviors, like weaving in and out of traffic and driving too close. If you’ve already gotten a ticket, there are a few things you can do to keep your costs down. Compare auto rates. Policies vary from company to company. One insurer might not increase your rates as much as another. Demonstrate your safe driving with an app like the Jupiter Auto App. Avoid tickets in the future. In a few years, points on your driving record will expire. If you get more tickets during this time, the problem will keep getting worse. If you don’t get any new tickets, the problem will eventually go away. Jupiter Auto loves all drivers – even those with some mistakes on their record. Contact us for a quote today.